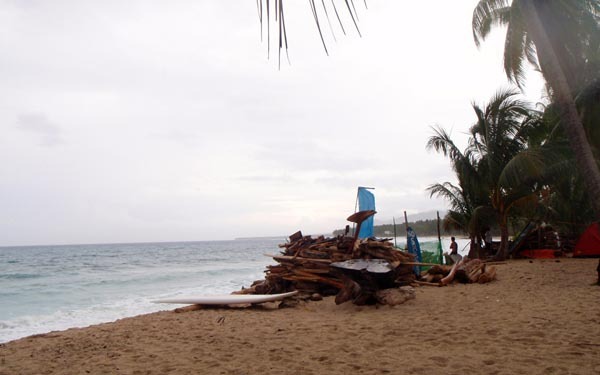 After doing my reads on the internet and on the advice of yoga friend, Jang-Jang, I proceeded straight to Amihan Surf and Skim on Dahican Beach, looking for Jun Plaza. It's not really a resort but more of a surf camp. 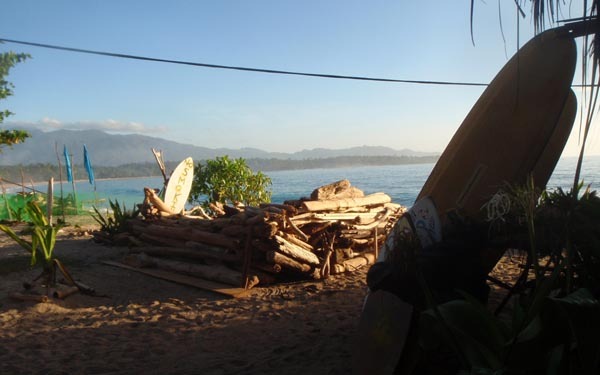 It's actually my ideal kind of place - beach camping with spartan amenities in a community of like-minded people who live, breath and dream surfing / skim boarding. I'm not kidding. 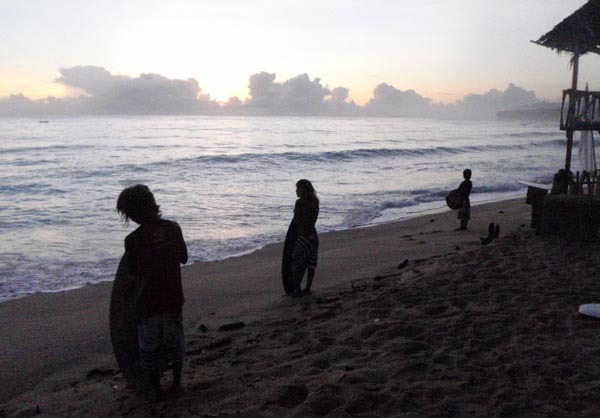 They start the day at 5:30 hitting the waves and keep at it unitl chow time. After some rest, they're at it again like Energizer bunnies. These guys are indefatigable. 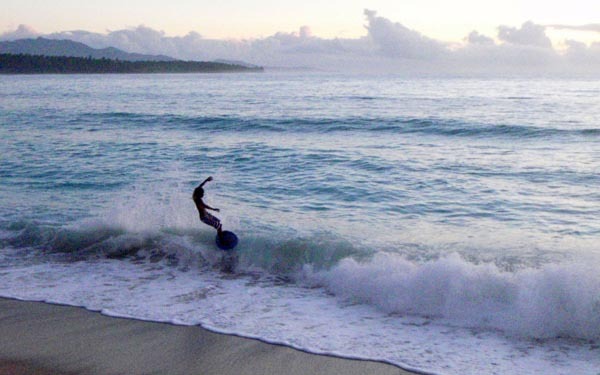 Not surprisingly, Amihan is home to Asia's skim boarding champion, Bayogbog. 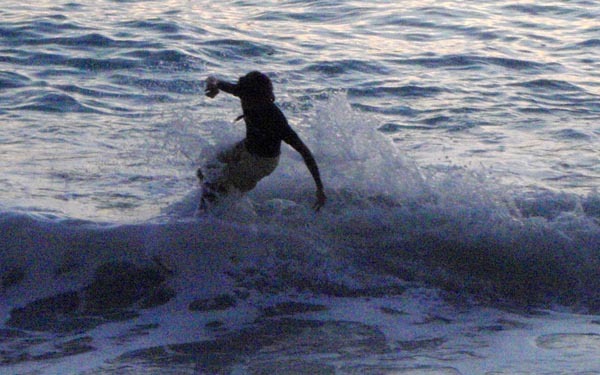 The younger skimmers are also champions in their own rights. These are the cream of the skim boarding crop. They make it look easy. 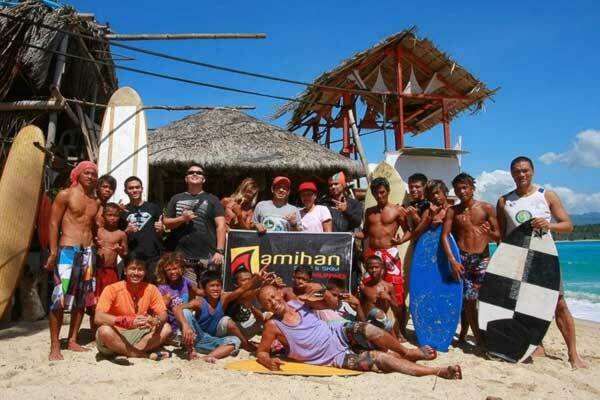 The Amihan Surf and Skim came to be because of its visionary founder, Jun Plaza. At 40, he is the high priest and pied piper of the camp, holding it all together by providing guidance and discipline to a young and promising crop of boarders who at some point will dominate the podiums. But with Jun, it's not just about winning. It's about aligning the mind and attitudes to comply with nature and the natural laws using his local know-how. We had a chance to talk at length. 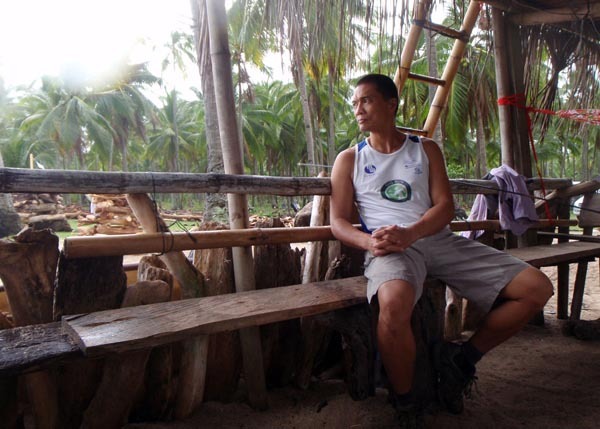 He explained that because of his community's grassroots efforts to win the hearts and minds of the local community about responsible coastal management, the dugongs, the sea turtles and the dolphins have made a comeback to Dahican. Whoa! Even as I talked to the 15 year olds who live in the camp, they are grateful that they found a home at the camp where they can train themselves to excel at something, instead of languishing with the boyz from the 'hood, getting hammered on alcohol, drugs and fights. 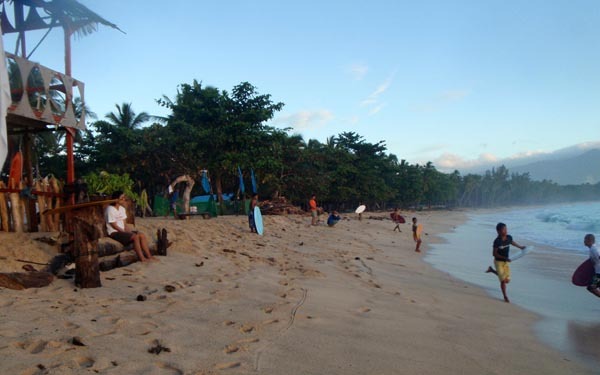 Amihan has become a gathering place for surfers and skimmers from far and wide as they become a part of this thriving surf community where the waves are shared and stories are told. 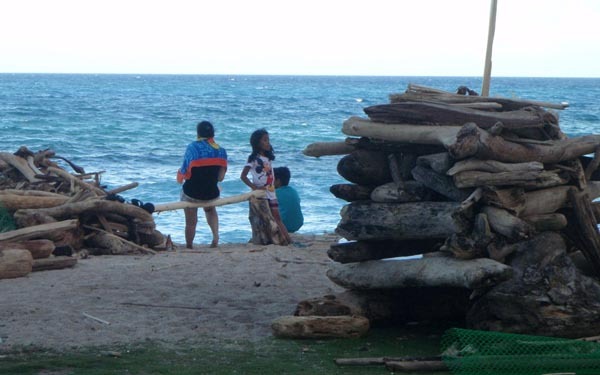 April 4 celebrates the anniversary of Amihan. The place becomes Mecca to all surfers / skimmers as it gets packed with people and tents celebrating the 3-day festivity. 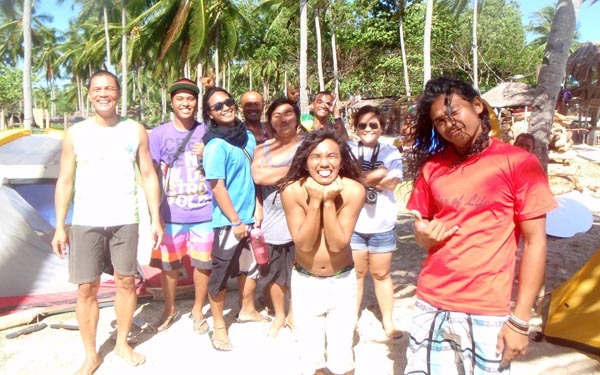 I spent 2 days at Amihan chilling out, enjoying my quality time away from my laptop, meeting new people in the surfing scene, and enjoying my time on the surf board! Jun is an excellent teacher. With just a few plain instructions, I got it. I caught the waves and rode it through. Mags, a very talented kid on the skim board, also took the time to teach me skim boarding. It's tough! But he makes it look easy. What I enjoyed the most was going further out, standing on a big board with a long paddle in hand as I float up and down under the undulating swells passing underneath me. It's a was zen moment - obserbers nicknamed me, Poseidon. 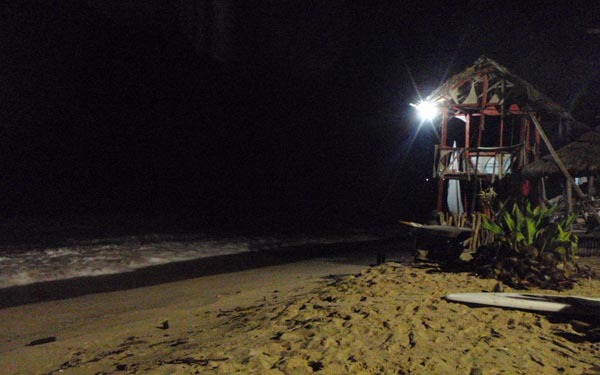 Most of the time, I'd just be on the beach watching tall waves crash down on the shore. It was mesmerizing. The whole time, I was playing in my head, Echo Beach by Martha and the Muffins. 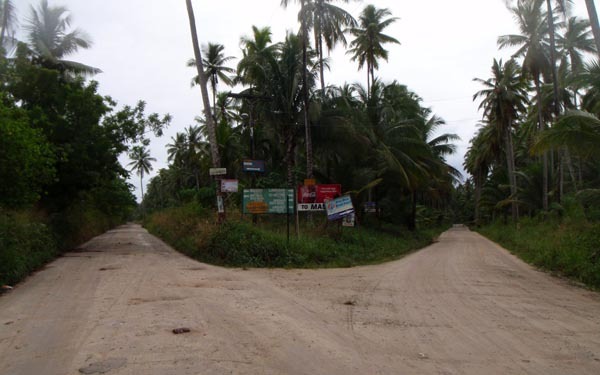 I paid a visit to the nearby resorts as well, trying to find out what the Dahican scene was all about. 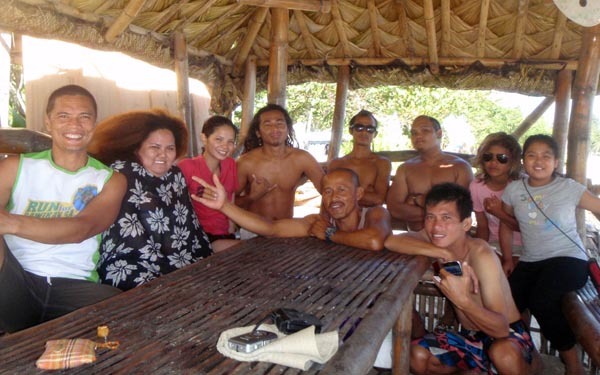 Fortunately, husband and wife owners of Tropical Kanakbai Homes, Leo and Rowena, were around to share their insight. 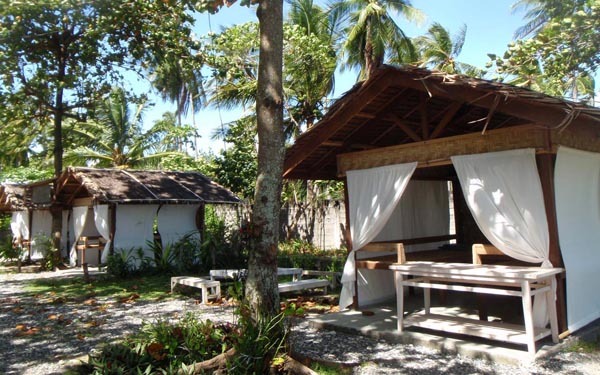 Dahican Beach is their private Shangrila. They live on the resort, so they naturally want to attract the right kind of people to the place. 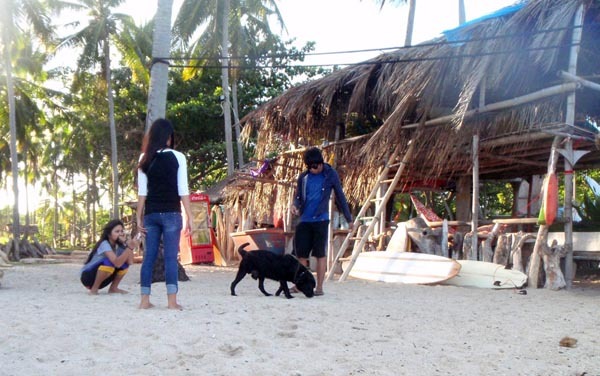 While they realize tourism will inevitably open up Dahican, they are apprehensive about the drugs and prostitution it might potentially bring. 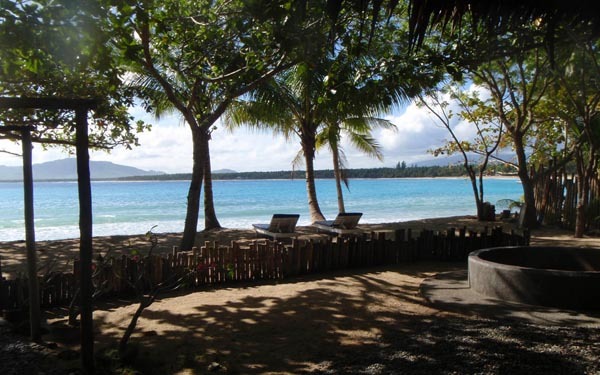 There is a part of them saying, "Let's keep the magic of Dahican to ourselves", but there's also that voice saying, "Something as gorgeous as this has to be shared". 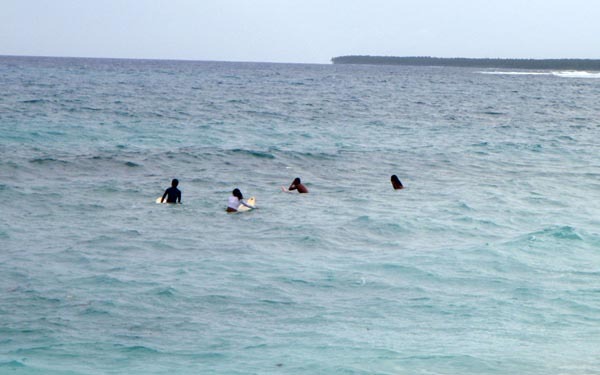 When you hear the word surfing, usually, Siargao comes to mind. 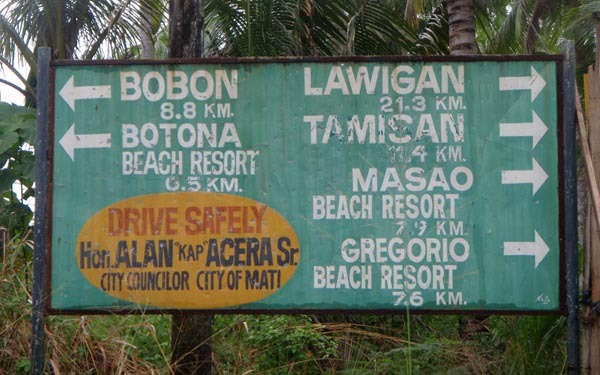 But Dahican Beach? 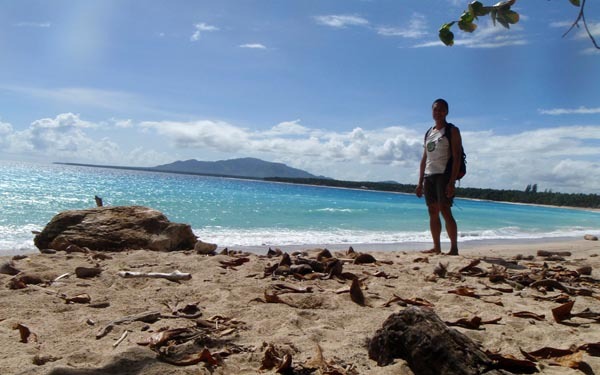 Very few people outside Mindanao have heard of Mati, let alone Dahican Beach. 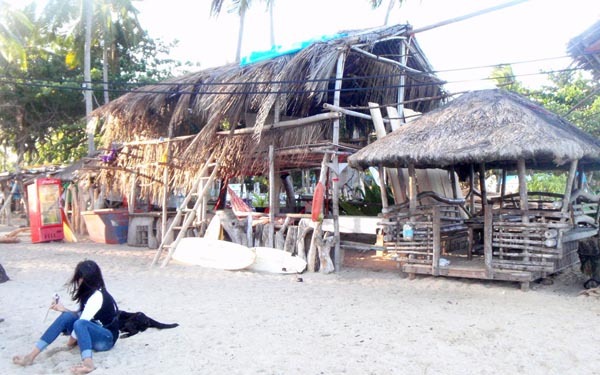 I'm actually conflicted if I want to write this blog and tell the world there is this gem of a surfing place in Mati that nurtures a community of skim boarding champions who take it upon themselves being the guardians of the ecosystem. But really, the word is out and you can't put the genie back in the bottle. 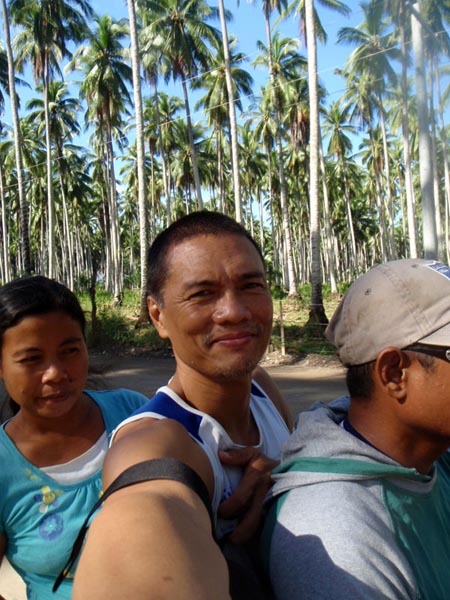 I can only wish the best for Amihan! 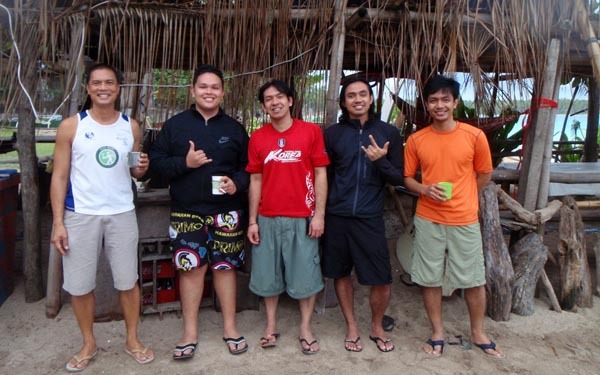 Here's to the Amihan Boyz!!!! 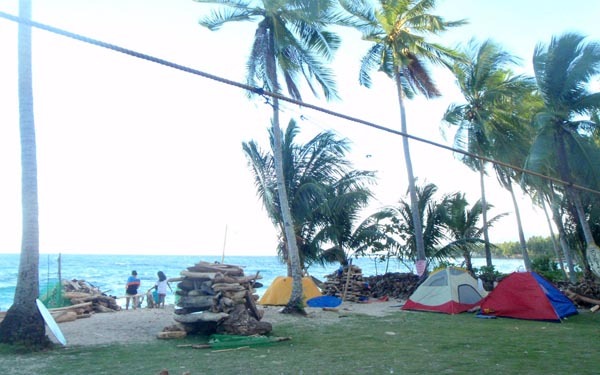 Amihan Surf and Skim - P200/day tent rental, bring your own provisions or give them money to buy everything and they'll cook it up for you. 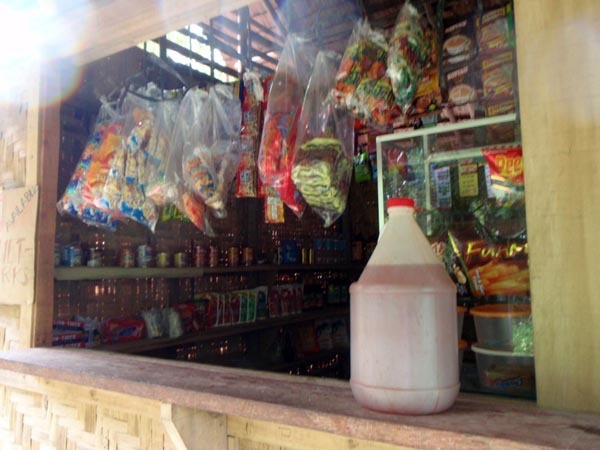 I believe they prefer that you simply bring your own provisions. 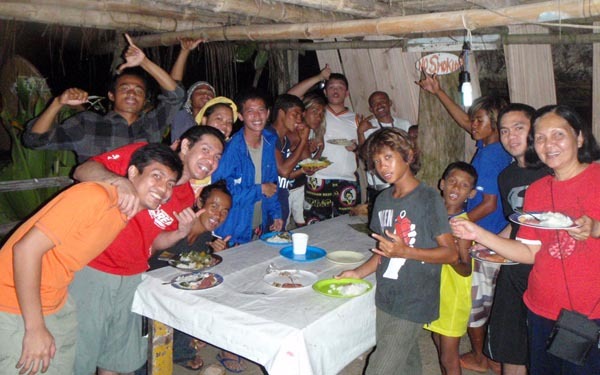 if staying at Amihan Surf / Skim, instead of providing your own food provision, you can go the nearby story (the one across Dahican Beach Resort) and arrange to be included in their meals. The food is freshly cooked and its yummy and cheap (rice, mongo dish, P25). You can also buy Manang's bonsai plants. (Jan 22, 2013) ...may event sa dahican this coming weekend jan25 to jan28. 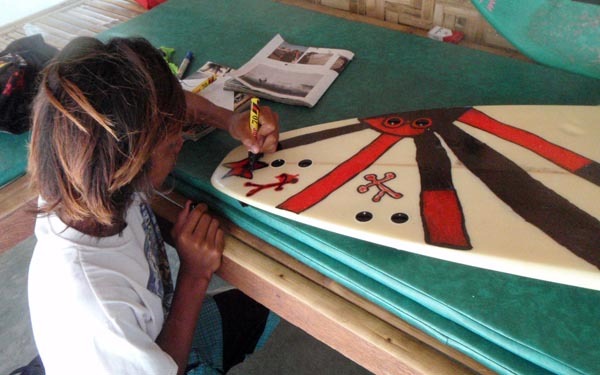 Skim Love Project. I hope you could visit us there. (Jan 2, 2013) Freddy, I remember you. You took great shots of Vincent Oliver Te. 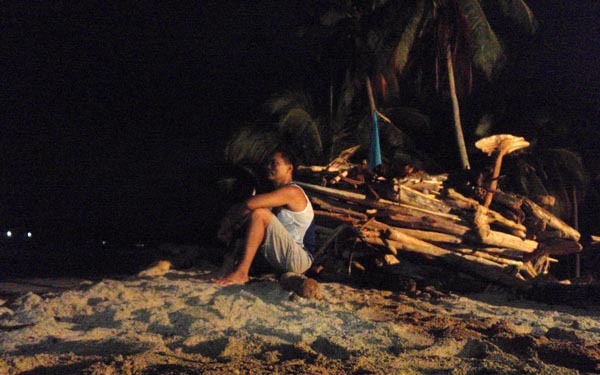 Sayang, we didn't really meet there...ingat! @Aris: actually, I didn't meet Rondy there. But hey, Im meeting him here now! Happy New Year Rondy! @Jom: ha-ha, pwede nga. but these lost boys will soon rule the podiums! 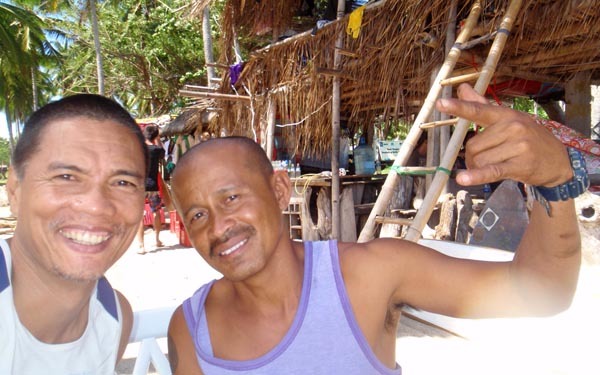 (Jan 2, 2013) Good to know you've met Rondy! Hehe. Small world indeed! (Jan 2, 2013) Good to know that you were able to meet Jun. I think of him like a sort of Peter Pan with his own band of Lost Boys. (Dec 31, 2012) Yanna, nakita ko yang sumulat nyan while I was there. Siya yata yung tinatawag nila nga yoga instructor. (Dec 31, 2012) It's not so secret anymore! Haha but I'm sure with Kuya Jun's leadership, Dahican will be kept clean and green. Happy new year Git! Freddy's really a good photographer Git! hehe cheers!